Nothing quite like a chance to brag about doing good by your woman. On Wednesday, Liam Hemsworth sat down with Jimmy Fallon on The Tonight Show and proceeded to glow with pride when the late night talk show host quizzed him on the engagement ring he bought wife Miley Cyrus, which was front and center at a gala late last month. “What kind of rock did you get her? Holy moly,” Fallon said as he showed a photo from the 16th annual G’Day USA Gala, which showed Cyrus beaming at Hemsworth as he accepted an award onstage. In the image, a bright light seems to be emanating from her left ring finger. Last month, Hemsworth told Extra that his holiday nuptials to Cyrus was a spontaneous event, but that the couple was extremely happy with how the intimate wedding turned out. Prior to their under-the-radar home wedding, Cyrus and Hemsworth were often hounded about their relationship, which was on-again, off-again for the last decade before they finally rekindled their romance for good in 2016. Last month, Cyrus paid homage to their storied relationship in a sweet tribute on Instagram in honor of his 29th birthday. 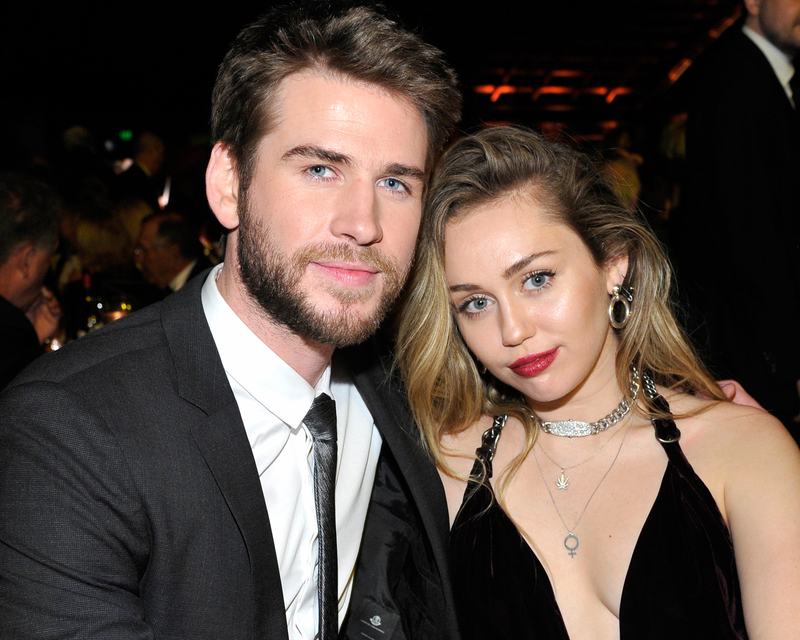 Be the first to comment on "Liam Hemsworth Jokes He Thought Miley Cyrus’s Engagement Ring Was “CGI”"